Just a reminder, the primary election is tomorrow. Within the same thread, no less. I see Pat beat me to it. Which is exactly what is being discussed in this thread, from an R perspective. But you keep on making demeaning posts using the hateful "retard" theme while criticizing people for doing the exact same thing you are doing. You're right about one thing. I shouldn't use the word "retard" when referring to people who vote straight tickets. I should save that for Trump supporters, as they are the only true retards. 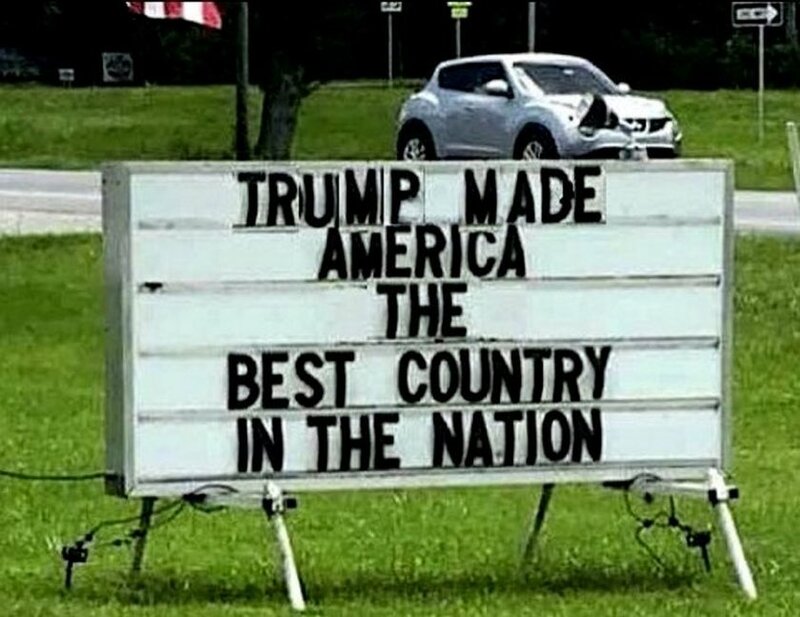 Kind of like the Trumptard who posted the sign below. If you don't get the humor, ask a friend who is not a Trump supporter. There isnt a day anymore when You aren't embarrassing yourself. Kobach is Brownback Jr., but more stupid. Brownback felt the heat so hard, that he took a sham religion position in ths Trump admin, which by all accounts is a downgrade from being govenor. I honestly want to know why people are so quick to want to elect a person who wants to rehash all of these unpopular mandates. If there was ever a case of voting against your own self interests, or fool me once ect, this is truly it.